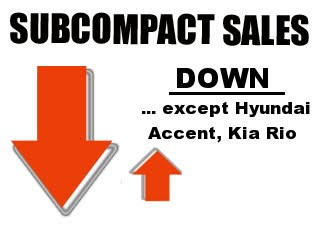 Another month, another big sales gain by Hyundai and Kia with the Accent and Rio, respectively. The biggest change from this time last year is the Accent—up more than double from 2008. Kia's Rio has sold nearly 75% more than this time last year. The only car showing a positive gain compared to '08 is the Accent, although the best-selling Vera is only down 6.6% compared to last year. The big loser this month is Smart—down more than 70% compared to October '08. The slow-selling Scion xD is down 49.8% for the year. Predictably, nearly defunct Pontiac only sold 227 G3s. I guess Kia can feel good that the Soul out-sold two expected rivals.....the Scion xD and the Nissan Cube. 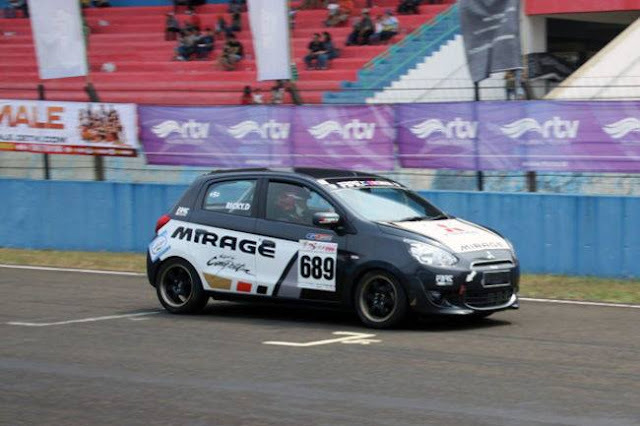 I don't think they saw the Suzuki SX4 as a direct competitor, but the Soul out-performed the Suzuki as well. The Accent has gained in popularity, with a lot of (mostly) positive press, so I'm not surprised it's out-pacing the Yaris. I think Hyundai needs to produce and more of the 3-door versions, and promote them. 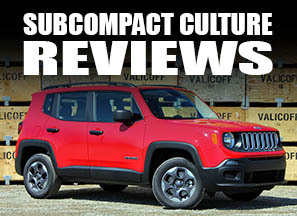 They get higher marks for their cute, sporty looks than the sedan from many reviewers. I'd like to see a breakdown of how the Accent sells; hatch vs. sedan. I see more hatchbacks here in Oregon, however, Portland can be quite different than the rest of the country with regards to auto buying. I feel really bad for all the people who bought the terrible Versa. Look at Consumer Reports reliability rating for them and also others reviews. It isn't a good vehicle at all. My coworker's CVT failed with a little over 30,000 miles on it. I have no idea why anyone would buy the Versa over the Accent...no one that has researched and compared. Hyundai cars are getting better and better ratings for reliability, and the warranty is superior to Nissan. I considered the Versa, but it looked odd from some angles, and I wasn't confident it would hold up. Accents get good ratings for reliability. Also, Hyundai gave me $1,500 cash back, which paid for the optional AEM intake, Borla muffler and several other accessories.